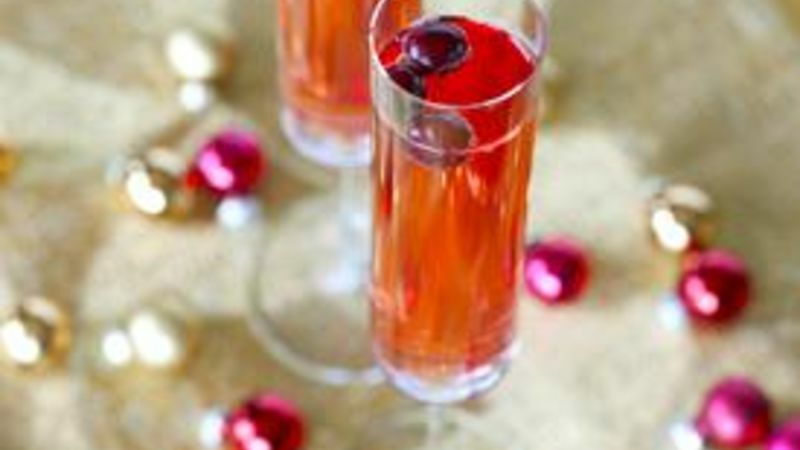 In a champagne flute or martini glass, combine the vodka, cranberry juice cocktail and simple syrup. Add champagne to top off glass. Garnish with a few fresh cranberries, if desired.